The standard approach to publish a scientific research output is through peer-review, a process through which independent experts scrutinize papers submitted for publication and evaluate their quality and integrity. For years, peer review has been the accepted tool to guarantee the quality of scientific papers. Based on their expertise and independent assessment of the paper, reviewers advice editors what to do: publish it or reject. They indicate issues that need to be addressed through critical comments, which, traditionally, are only accessible to authors and editors. The rejection rate of papers is high, particularly in high impact factor journals. Usually authors are blamed for this. There is high competition among authors to publish on high impact factor journals. This makes the work of some authors to miss the high bar; the major reason given for rejection. This is not to say that reviewers are free from blame. But authors point their fingers at reviewers. The main criticism directed against reviewers are bias, inconsistency, abuse of peer-review and time it takes. This has led to increasing call for open peer-review: making reviewers’ comments and identity accessible to the public. According to a survey conducted by OpenAIRE2020 on 3000 individuals, 60% of the respondents supported the idea of publishing reviewers’ comments. According to Philip Campbell, editor-in-chief of Nature, 62% of authors have demonstrated keen interest to see reviewers’ comments online. Elsevier’s research demonstrates that out 259 people invited for a pilot project 70% participated in an open peer-review. Moreover, 45% of the participants do not see any problem with unmasking their identity. Nonetheless, only 2% of journal publishers give full access to them. According to the research conducted by Jeroen Bosman and Bianca Kramer, in the Netherlands a significant number of peer reviewed articles are published on open access journals. That means open access accounts for 42% of all peer reviewed papers published in 2016. The study also found out that, since 2015, there is upward trend in open access publications in the country. The research did not explain the reason behind. The research highlights that most of the papers are published on Gold and Hybrid open access journals; only 5% of open access papers are available through Green open access. This means that authors or research funders are paying Article Processing Charges (APCs) to publish these papers on open access platforms. This comes with a substantial APCs. Though it differs from journals to journals, APCs can be as high as 3000 Euros. University of Oxford and Elsevier announced five-year collaboration aimed at developing research talent in the filed of mathematics and data science. The collaboration will give an opportunity for early career post doc researchers to learn and work alongside globally distinguished academics in the field of mathematics. Moreover, Oxford Mathematics will host high profile meetings and workshops throughout the five-year collaboration period with Elsevier. In 2017, the world of open access took drastic steps forward, both in recognition, legislation and the creation of important new platforms and foundations. However, publishers continue in their fight against open access, especially with regards to pirated scientific papers and the websites that host them. There is an increasing call towards embracing open access to scholarly materials. For instance, the EU set 2020 open access target. Besides, many countries, including the Netherlands, adopted progressive open access policies. 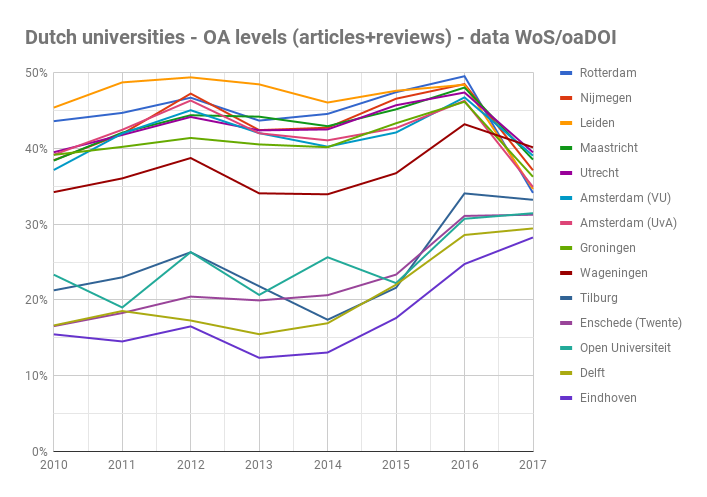 As a result, open access has shown steady growth over the years and many open access publishers, such as PloS, BioMed, Hindawi and PeerJ, emerged. Traditional publishers have also shown signs of, reluctantly, embracing open access. They made some of their journal hybrids, and others fully open access. They kept, however, most of their high impact factor journals behind pay-walls. 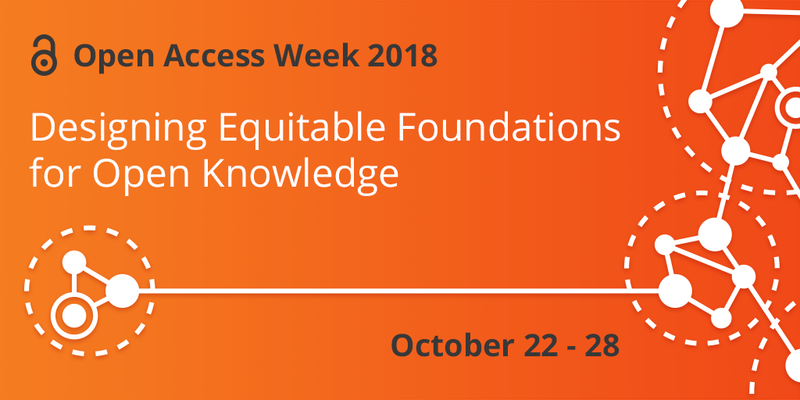 Open access accounts for about 28% of all scholarly materials. When the open access movement started, most of the open access advocates posited that open access, if not completely wipe traditional publishers out of business, would force them to cut subscription fees. 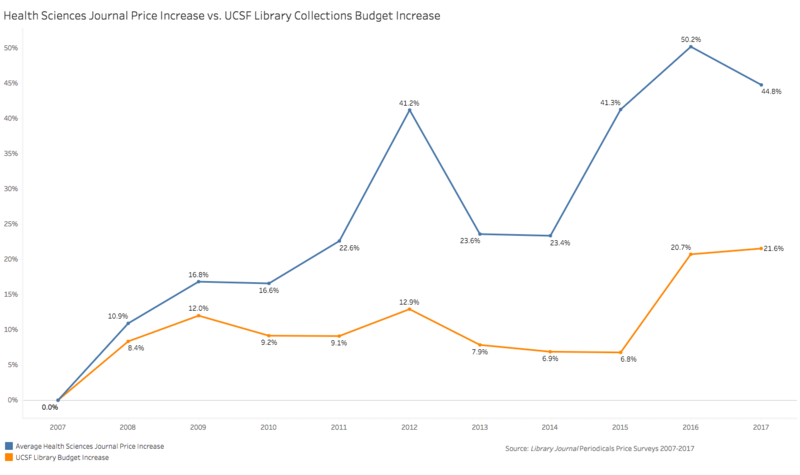 In fact, one reason that triggered open access was the “serials crisis” (high subscription prices) witnessed by libraries in the 1990s. Now, after it reached significant milestones in terms of influence and share, it looks that open access has done little to address issues related to subscription prices. According to the report titled Monitoring the Transition to Open Access, since 2013, ten UK universities paid £16.1 million for subscriptions. That means UK universities journal subscription costs are up by 20% over the past 3 years. Over the same time, UK universities paid £3.4 million for Article Processing Charges (APCs). All the money went to seven of the leading publishers. The report made clear that traditional publishers have multiple revenue streams. Journal subscription fees and APCs are the dominant ones; they charge APCs for hybrid and Gold open access journals. Traditional publishers charge high APCs compared to newly emerging open access journal publishers. Universities and policymakers are making efforts to embrace open access. However, traditional publishers seem to find ways to keep articles behind ever increasing pay-walls. These high subscription prices are one of the issues that put German universities at loggerheads with Elsevier, the giant in the field. Many universities, scholars and open access advocates are also exerting pressure on the tradition publishers to open up. There are many indications that the future is open access. The EU’s and major research funders’ open access policies confirm this. But the fight for open access is far from over.